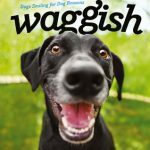 If you’re looking for a fun gift book or just want to add to your library of dog-related reading material, here are some of our favorite dog books from photography to poetry. 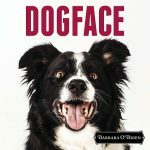 DOGFACE pretty much says it all where Barbara O’Brien’s book of dog faces is concerned. But the faces are so varied and scruffy and silly and regal that you’ll choose a different favorite, depending on your mood, each time you flip through the book. Each page includes the featured dog’s name and breed. Don’t skip her introduction though! It’s brimming with the joy and love of the photo shoots. A really fun book to have on hand! Another fun book with lots of dog smiles is WAGGISH, from Grace Chon and Melanie Monteiro. It’s a little more saucy than Dogface. Each photo is accompanied by a cute comment meant to come from the dog. While still overall appropriate for most kids, one dog mentions scaring the crap out of the UPS guy and another talks about margaritas. There’s also a dog who admits to “rolling around in the raccoon carcass.” Be aware that it’s not all kiddie stuff. But this is a wonderfully silly book, and the photos are varied and totally adorable. 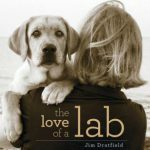 THE LOVE OF A LAB from Jim Dratfield pairs black & white and color photos of labradors of all shades with quotations from public figures as varied as Jane Austen, Richard Wright, Albert Camus, Amy Tan, and Voltaire. While many of the quotations would be just as comfortable in an inspirational sayings collection, they seem perfectly suited to the photos of Black Labs and Yellow Labs and Chocolate Labs of all temperaments. A perfect gift book or one to keep around for a rainy or moody day. Perfectly appropriate for children and adults of all ages. 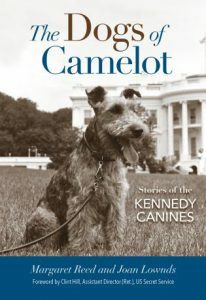 For history buffs who want to see how nine dogs factored into life at the Kennedy White House, THE DOGS OF CAMELOT will satisfy both curiosity and a desire for documentation. The book is divided into chapters that are at times general and then focus on one or two dogs for an extended period. The archival photographs, mainly from the Kennedy Presidential Library, show how the Kennedy dogs took part in every aspect of life for the First Family. Details about how they were cared for and special preparations made for them Readers should be aware that the language surrounding the beloved pets is mainly as possessions and not as companions. A pony and cats also make occasional appearances. 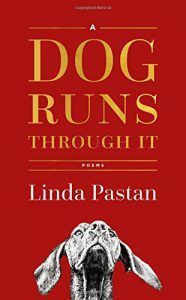 A beautiful book of poetry from Linda Pastan called A DOG RUNS THROUGH IT will delight readers and bring a few tears to the eyes of dog lovers. Written in plain and loving language, Pastan describes the many ways a dog affects and enriches the lives of the people who love them. Sometimes joyful and playful, sometimes deep in contemplation and mourning, there is something for every mood any person who loves a dog may have. Appropriate for all ages, although caregivers should be aware that the death of a dog makes an appearance.